This quiz was our last quiz in our January series and it turned out to be a tough one. There were only nine answers submitted with five of them being correct. Although there were two people that got all of the quizzes correct, they both have received NuttyBirder.com t-shirts already. A random drawing of the second place participants picked Ethan Rising as the winner for January! 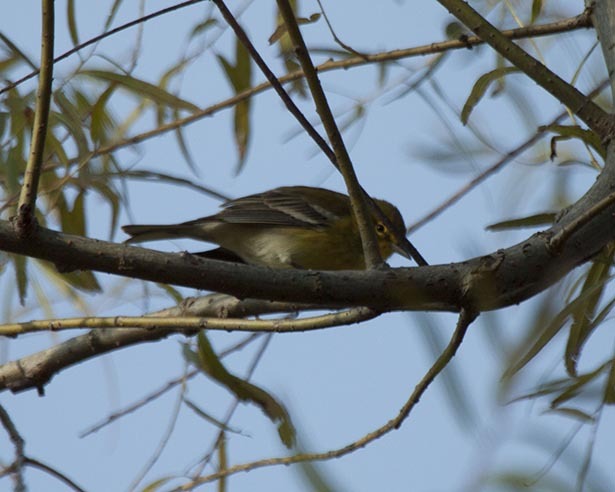 of the Yellow-throated Vireo. Due to these two field marks this bird is a Pine Warbler. Our next quiz is our first quiz in our February quiz series. It can be found here: http://nuttybirder.com/BirdQuiz/week161.html#.URCG36Vz6So.